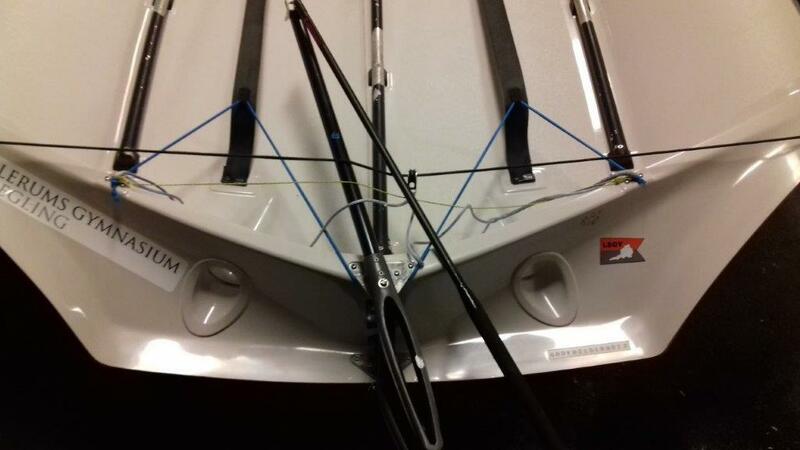 As photo shows the boat is very good condition, only sailed 3 seasons by skilled crew. Girls! 1,5kg below min. weight, lead below maststep. Boat is dry. The 29er has been stored inside every winter and stored inside 2013-2014. The reason we sell is purchase of new 29er with new crew. 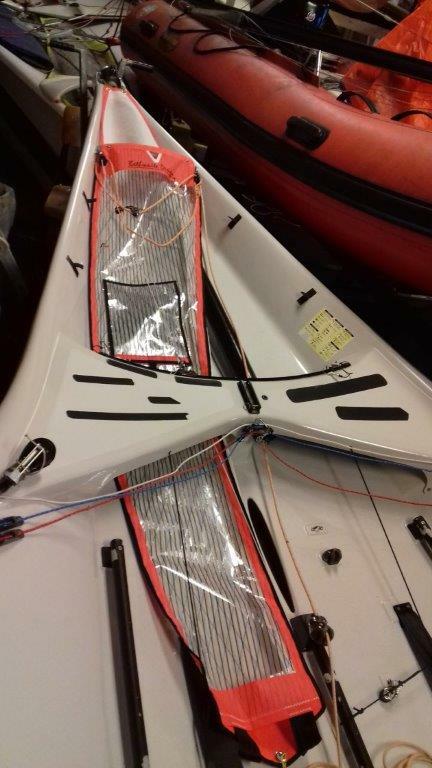 New suit of race sail– main, jib and gennaker, never used! Traning main sails, some very good training jibs, 2 very good training gennakers. New topcover, Undercover, foilcover. New halyards and trimlines. 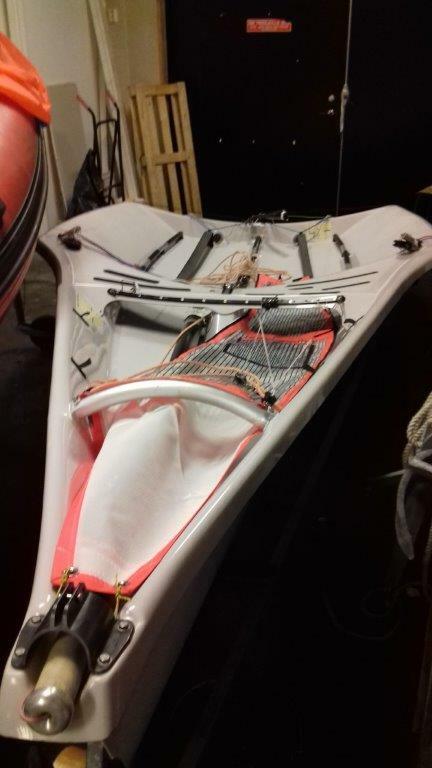 Extra topmast (New). Launch trolley. Price Euro 6100. Boat can be delivered at DEN/GER border. 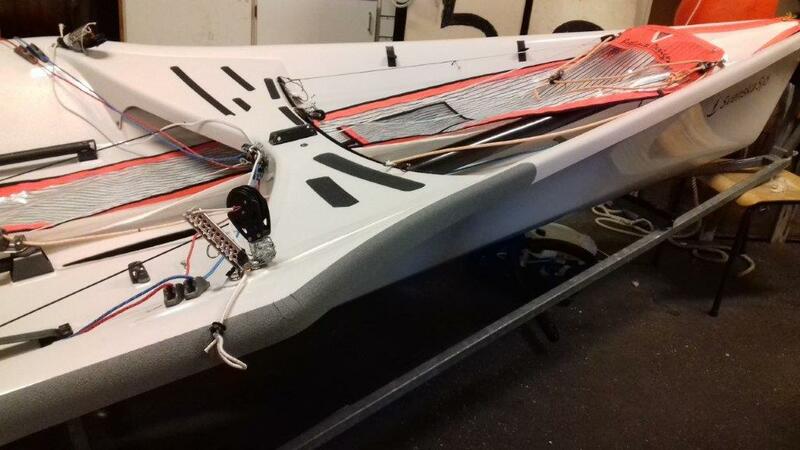 Is your 29er 2263 still for sale? Saw your add on 29erkv. Is your 29er 2263 still for sale?